The following is the another of many older articles that will appear on my website. 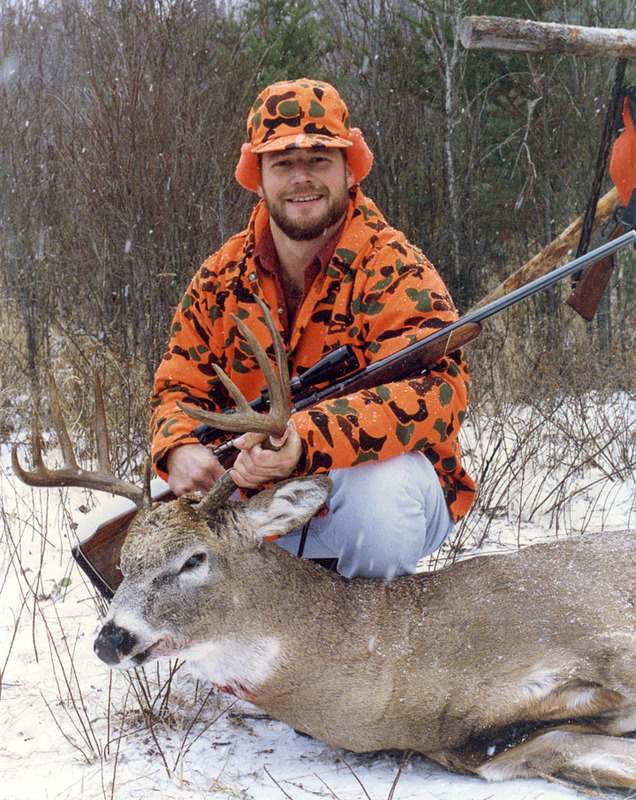 This is article was first published in Midwest Outdoors in January of 1997. Please share what you learn from these articles with your whitetail hunting friends. 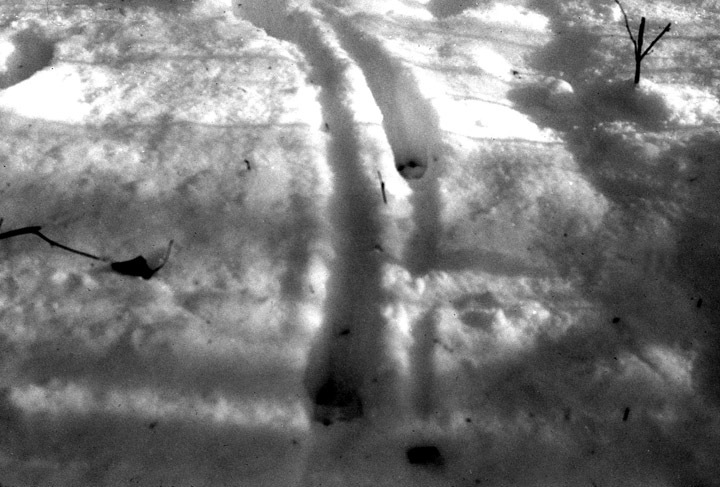 An example of the Railroad Track pattern left in the snow by a dominant buck under the influence of the scent of a doe in heat. While cruising during late morning in search of the very fresh deer signs that would insure he'd sit within very short range of a mature buck during his next two half-days of hunting, Ken discovered the track formation we Nordbergs refer to as “railroad tracks,” a deer dragging its hooves from track to track (in snow). As a rule, a Minnesota whitetail that drags its hooves from track to track, walking stiff-legged, between November 3rd and 17th, the primary breeding phase of the rut, is an antlered buck under the influence of the airborne pheromone released via urine by a doe in estrus. The term “monster” was used to describe this buck because its identifying tracks were as large as whitetail tracks come, six inches from tip-to-dewclaw. In the region we hunt, bucks with tracks this large do not necessarily grow record book antlers, but, live, they weigh 305 to 350 pounds (dressing out at 235 to 276 pounds). Mingled with the buck's tracks were equally fresh, 4-1/2 inch-long deer tracks, the typical tip-to-dewclaw length of a Minnesota adult doe. Of course, taking on a wolf-country adult buck in its prime, the wariest whitetail that lives, requires considerable knowledge and skill. 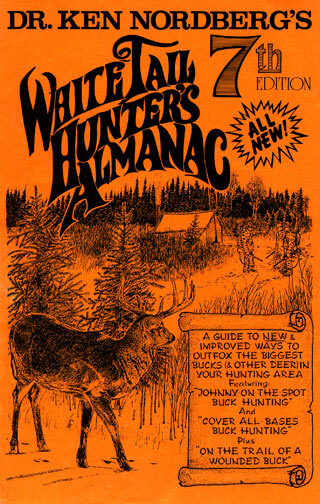 Just how considerable is revealed by answers to the following three questions: 1) how could Ken accurately predict where that buck was located, 2) how could Ken hunt this buck with any promise of success and 3) how could he and his partner get to nearby stand sites without alerting or alarming the buck? Having a keen knowledge of breeding-related whitetail habits and behavior, it was easy for Ken to predict where that buck would be midday (between feeding cycles). It would be trailing that almost-constantly-wandering, hot-and-cold-running doe about her bedding area — a 20-acre, half-moon-shaped ridge that wraps around the south and east sides of an osier-rich wet lowland that is traditionally an early favorite browse area of the resident doe family and the nearest adult buck. During previous years and again a month before the past hunting season began, Ken thoroughly scouted this area, identifying these important whitetail home range elements and their extents via deer signs. 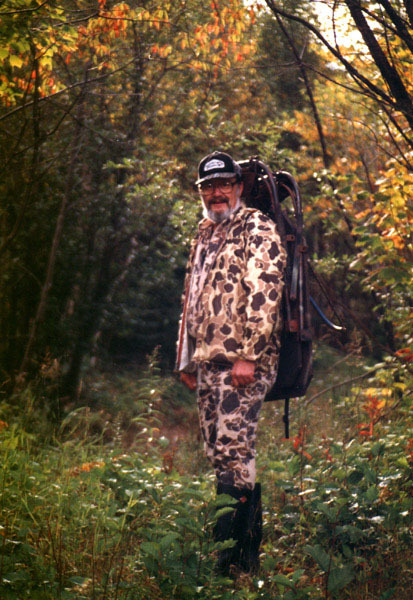 In this case Ken planned to use what we have come to regard as our most effective variation of portable stump hunting, a small-group approach (2–3 hunters) we call “the gentle nudge” — using the airborne scents of a stationary upwind hunter to influence the direction of movement (downwind) of a selected quarry. Since its development eight years ago, this technique, reserved primarily for hunting dominant breeding bucks while with does in estrus, has never failed us, all bucks taken within 1–4 hours. 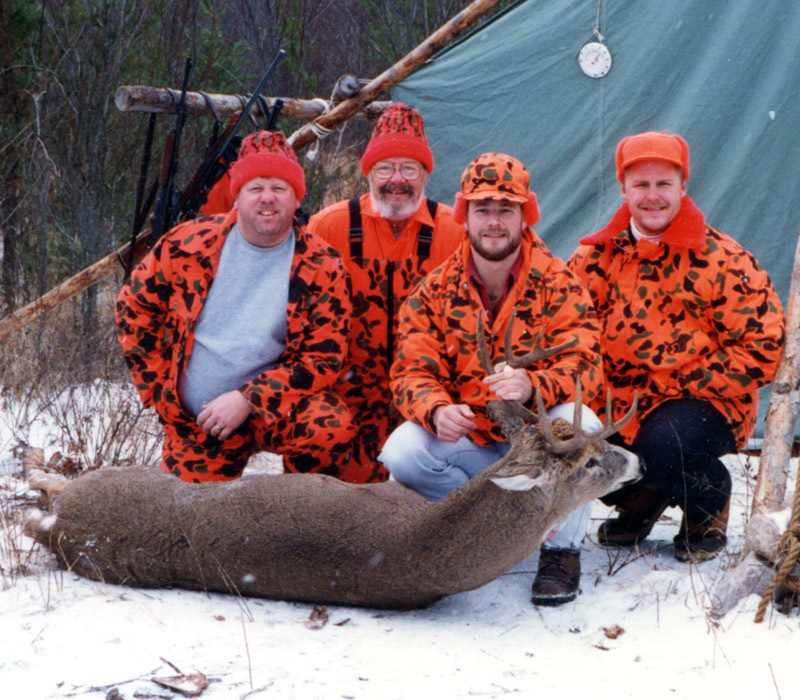 The success of this hunting method is greatly dependent on the ability of the hunters to get to their stand sites without alerting or alarming the quarry. 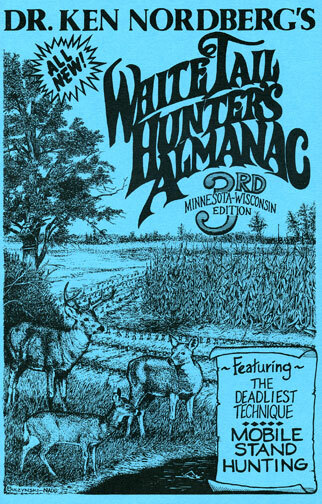 The upwind hunter, the nudger, the hunter that will be smelled and thus identified by the quarry must approach his or her stand site from crosswind, out of sight 100–200 yards upwind of the quarry's location — in this case, the doe's bedding area — fifteen minutes or more after it is certain the downwind hunter is in position. Though unseen, it is important that this hunter moves in a manner that insures the quarry will not raise its tail and move rapidly away, trotting or bounding. When this happens, not only is the buck certain to veer right or left and soon begin coursing into the wind, thus avoiding ambush, but it is certain to abandon its range and/or become completely nocturnal for a period of 5–10 days or longer. 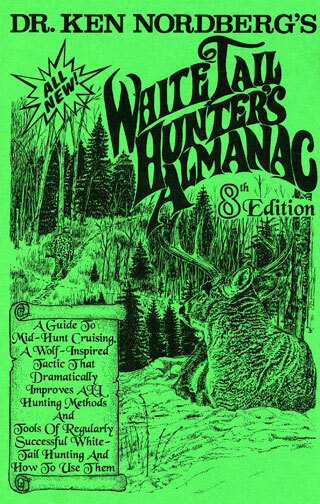 To avoid any hint of hunting behavior while afoot, the hunter must move steadily, maintaining a moderate pace, never halting, head constantly pointed straight ahead, never moving directly toward the quarry. Upon arriving at the stand site, the upwind hunter must immediately sit down, making no further sounds or motions. Upon noting you are no longer making sounds and further noting the source of your airborne odors, readily identified through a quarter-pie-shaped area downwind nearly 400 yards wide 200 yards deep, has become stationary (unmoving), a much-experienced quarry will soon have you pegged as a “stand hunter.” Like all stand hunters, an adult buck will then consider you to be harmless as long as a safe distance of 100 yards or more is maintained. 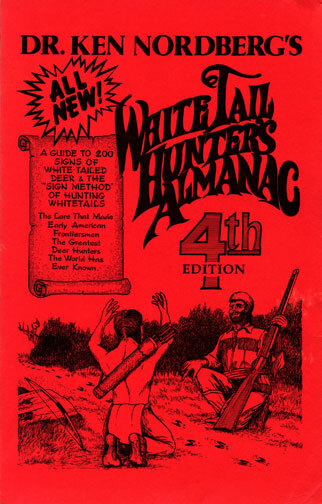 Thus given the opportunity to make up its own mind about where to go next, and when (in its own good time), as long as the downwind hunter has not been detected via sight or sound, that buck will readily move downwind. To earn the opportunity to take the buck, the downwind hunter must get to his or her stand site, 100–200 yards downwind, without the quarry realizing it. This is done in one of two ways: 1) approaching with great stealth via dense, downwind cover or 2) two hunters go to the stand site and without halting one swings away and leaves the area, making any deer within hearing believe the area is now free of human danger. With a light breeze blowing from the northwest, Ken planned sit atop a steep-sided knoll overlooking the eastern, downwind perimeter of the doe's bedding area — a site with all of the advantages of a tree stand but with none of the obvious human wreckage all too characteristic of tree stand sites these days, readily spotted and avoided by most adult bucks. Ken's upwind hunter, brother-in-law Kevin, intended to sit near the edge of a beaver pond 150 yards upwind of the western perimeter of the doe's bedding area, his airborne odors thereafter providing the gentle nudge that would eventually influence the buck to move toward Ken. 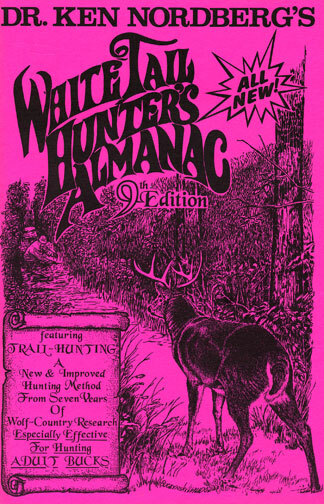 The ability of both hunters to move to their stand sites without being seen or heard by the buck or doe was greatly enhanced by trails re-groomed a month before the opener, dry branches, windfalls and other potentially-noisy obstacles removed from several familiar paths leading into this favorite hunting area. About one hour after placing his stool against the wide trunk of a knoll-top jack pine, Ken heard the familiar sounds of one or more approaching deer. The two adult bucks he had previously taken at this site approached from the east. This time the deer approached from his left, and soon it became apparent they would pass downwind. Almost before Ken could react, two deer leaped high over the dense hazels at the based of the knoll 30 yards behind him, a doe in the lead and close on its tail one of the largest bucks Ken had ever seen in the wilds. At this moment Ken's considerable experience and skill in a duck blind saved the day. As the buck cleared the dense brush at the apex of its second great bound, Ken instinctively swung and fired. The way Kevin tells it, as the buck crashed to the ground, fatally hit, a sound akin to one-hundred rebels yelling echoed from the top of the knoll. 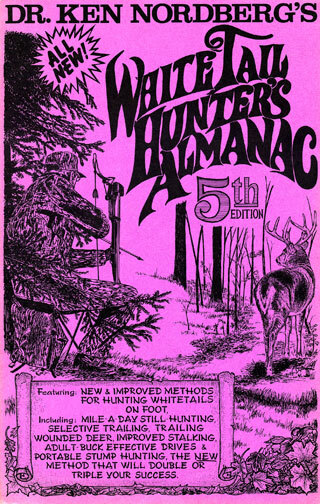 Thus came to pass the first of several new deer hunting experiences that provide important lessons, each of which will be related to you in this and future editions of MidWest Outdoors (after which I will resume my series, “Back to the Basics”).